True Detective is not this decade’s first masterwork of Cosmic Horror Detective Noir set in the wilds of the American South…and it may not be its best. We are probably living in a renaissance of American cosmic horror. 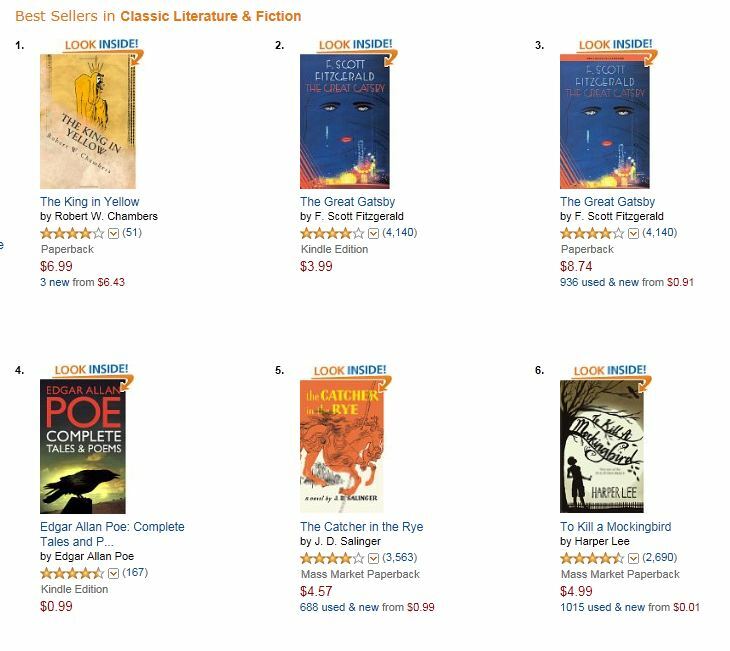 This is fortuitous, because we live in a period of remarkably rich writing within the cosmic horror genre. Contemporary authors like Thomas Ligotti, Kelly Link, and Laird Barron are conjuring some of the most exciting, harrowing, and dangerous visions of the universe seen in many years. 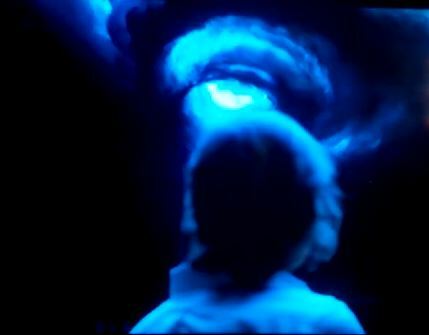 Fans of the HBO show who enjoy the dark implications of Cohle’s soliloquies—or the fantastic aspects of his visions—are likely to connect with any one of the authors in the genre. Yet one work of recent cosmic horror stands out especially in this regard. 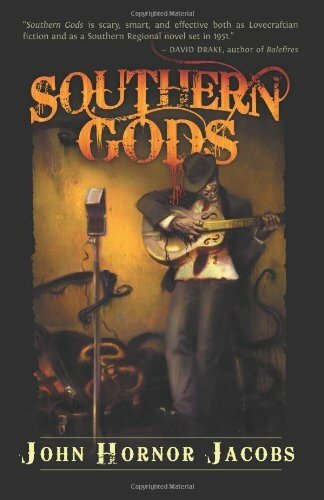 And that is John Hornor Jacobs’s 2011 novel, Southern Gods. Like many horror writers, I first picked up this book by a heretofore unknown writer when it was nominated for the 2011 Bram Stoker Award for Superior Achievement in a First Novel. Also like many horror writers, I was fairly blown away by what I found inside. Like True Detective, Southern Gods is a detective tale set in the American South. It takes place in Arkansas instead of Louisiana, and turns the date on the dial all the way back to the 1950’s. But despite these differences, the two stories have powerful similarities. The protagonist of Southern Gods, Bull Ingram, is a deeply troubled World War II veteran turned muscle for hire, contracted to hunt down a missing operative for a record company who is believed lost somewhere in the Arkansas wilds. The operative’s job is to travel to small, rural radio stations around the south, and grease the DJ’s with cash to ensure that the company’s records are played. But the operative has vanished, along with the company car and the money used for the greasing. This all seems straightforward enough, but Bull Ingram’s investigations quickly unearth confusing—and unsettling—possibilities. The disappearance of the record company operative is connected to a legendary—and possibly ethereal—blues singer known as Ramblin’ John Hastur. In the parlance of the locals, he is also known as the Yellow King or the Tattered Man. He’s said to sing with the voice of the Devil, and his songs—such as they are—are supposedly closer to a religious incantations or the casting of spells than they are to a blues ditty. Accordingly, there are said to be supernatural consequences to hearing his music. As it moves with gradually mounting tension and intrigue, Southern Gods transforms rural Arkansas into a labyrinth of tantalizing mysteries, and morbid clues that always seem to point to something deeper (and that, I daresay, and True Detective fan would find familiar and exotic at the same time). In my favorite scene, Bull Ingram arrives at a tiny rural radio station while still in pursuit of the record company man. Inside the one-room building, he finds two dead radio station employees and a record spinning silently on the turntable. It’s an album by Ramblin’ John Hastur. Curious, the protagonist puts the needle on the record and listens. As the strange song begins to play, the two dead men on the floor, very slowly, begin to rise to their feet. Fans of True Detective are going to have some time to kill while Nic Pizzolatto works on the second season. If they like, they can see it as an opportunity to learn even more about the genre they enjoy so much. An excellent staring point would be Southern Gods.